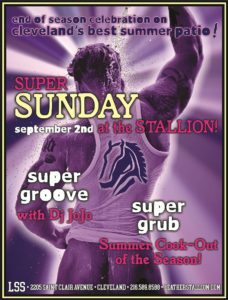 Our End of the Summer season this Sunday!!! But the patio parties continue thru mid October!! !